$99.99 to $149.99 & FREE Shipping on orders over $59 $35. 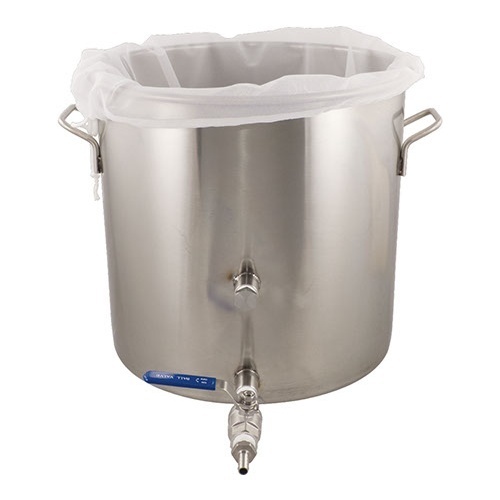 Our Premium BIAB (Brew In A Bag) kettle and bag kit is the most affordable way to get into all-grain brewing. 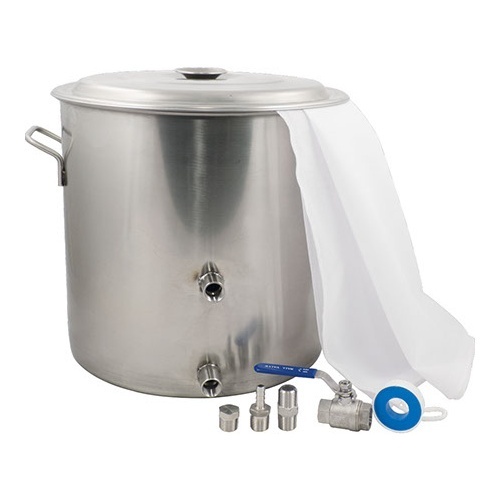 This hardware kit includes a stainless steel kettle, ball valve, hose barb connection, 1/2" plug and plumbers tape to seal the connections. While it does not include directions (you can easily Google BIAB), the basic concept is that you place the bag in the kettle, add the grain from your recipe along with a measured amount of hot water and let it steep for 60 minutes. You then remove the bag and boil with hops in the same vessel. Very easy. 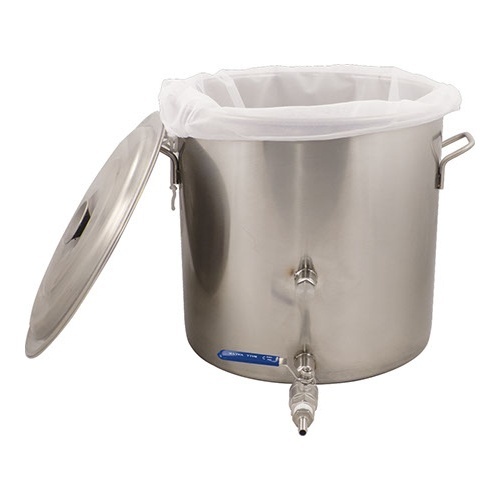 Available with either an 8.5 or 14 gallon kettle. I need on and it's a good price. Will this work with induction? BEST ANSWER: Hi James - Yes the kettle is compatible with an induction heat source. Does this kettle have volume markings? This kit makes the jump to all grain so easy you will not believe it. So far the bag is holding up very well and the kettle is a great size to avoid boil overs.